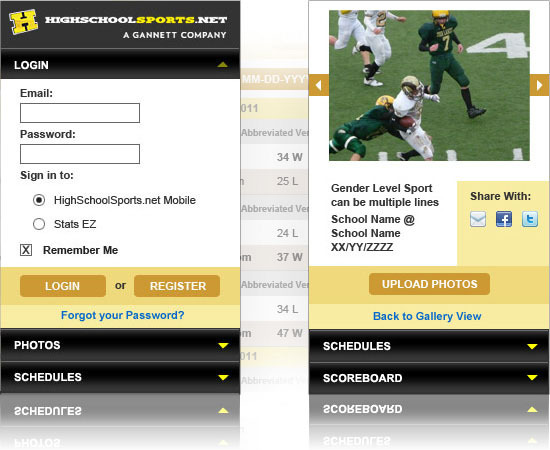 Here's a glance at the final mockups for some of the HSS Mobile site. We designed and built this in the spring of 2011. Parents of athletes use it most often to check schedules, get updates, and post photos of their budding superstars from a given event. During user testing, I created about 20 mockups in three different design layouts and styles. We met with athletic directors, parents, coaches and students to pinpoint the layout and asthetics that had the broadest appeal.